Hair straightening can be done using different methods. You can go to the salon where your mane can be straightened by professionals. Thermal reconditioning and Brazilian straightening are some techniques used by hairdressers. The other alternative is to do it at home using natural remedies or tricks to help your hair relax and make it easier to style. 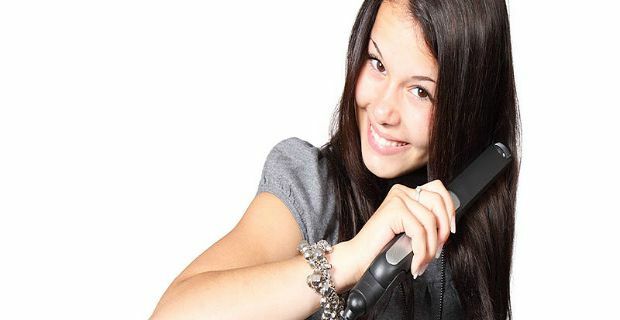 You can use a straightening iron for your hair. Simply follow the instructions that came with the gadget. Usually, you take sections of your hair and apply heat on it to straighten it. The issue with this method is that too much heat can damage your hair. Hair relaxers can straighten your hair. However, these can be quite harsh on your hair and scalp so it is not really advisable to resort to these chemicals. One method that does not involve chemicals or the heat of an iron is to wet your hair. Whilst it is till damp, take several sections of your mane and clip them. Brush your hair vigorously and pin each section on your scalp. Remember this method works best on moist hair. In addition to the above methods, you can also apply milk, eggyolks and coconut oil on your hair. They are known to help straighten hair. All the methods above on hair straightening have their own advantages and disadvantages. The effects are also temporary so you might want to accept this before spending loads of time making your hair less wavy. Above all, embrace your curls. Unknown to you, there are many others who would die to have bouncy and wavy hair.